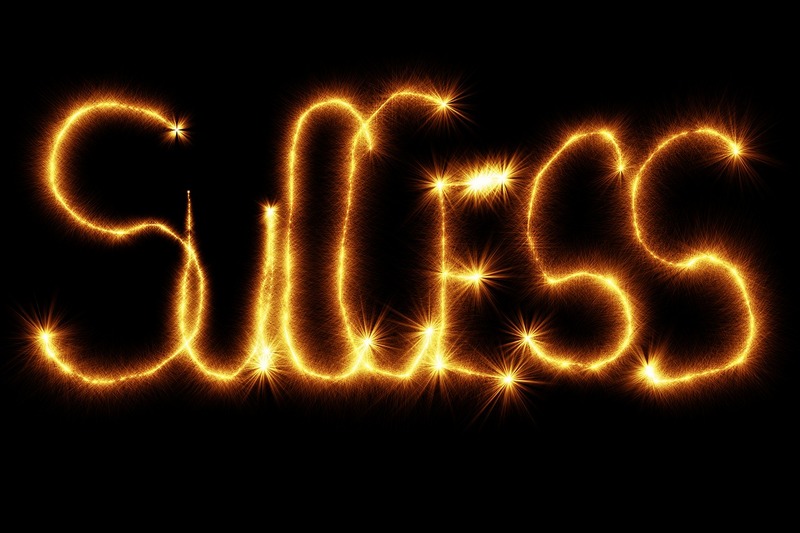 What is success and how would you know if you were successful? Success is a slippery thing to catch hold of. When you say successful, most people think first of how much money someone makes. Money and success are not synonymous. Think about all those famous people, actors, and musicians, that had the fame and the money but their life still ended up a disaster. A few readers have responded to some past counselorssoapbox.com posts about success by telling me they did not care about being a success because they were not all about money. In my thinking money and success are not the same thing, but for some people, the thinking link between these two ideas is so strong they equate pursuing a goal other than money as not wanting to be “successful.” Some folks just can’t imagine being successful without having a pile of money. That seems sad to me. People who live a good life, they are successful in my book. People who only have money and fame, eventually that goes away. It may come as a surprise to those who say they are not about money, that people who live a good life and have a proper relationship with money do not have to live in poverty to be a good person. Successes are about achieving your potential. It is the result of being the best possible you rather than having the most other stuff. Below are some ways to tell if you are living a successful life that is not dependent on how much you have in the bank or how many followers you have. Living a life of purpose and fulfillment is the best form of successes to my way of thinking. How many of these ways are you successful? Highly successful people are able to get along with others. They enjoy diverse people and can interact with others regardless of that other person’s characteristics. Really successful people treat others well and do not need to feel better than others to feel ok about themselves. If you hate what you are doing and dread going to work, you may have piles of money, but your life is a failure. If you love what you do and look forward to each new day you are living a life of purpose. People who hate what they do each day eventually find that no amount of money is worth giving up their precious time. Ultimately they quit that job or their mind makes them ill to protect them from doing that unpleasant task. The successful life is headed towards something, not lugging a load of things after you. Today should not be the end of everything. If you find you think that nothing in your life will ever get better, that life is just something you have to endure, then you are in no way a success. People who love learning can find something new to learn every day. When learning is a chore, a drudgery that you do only because you have to, your world grows smaller and less joyous. Money does not compensate you for an unhappy life. A jubilant life is a great reward in and of itself. People who live a satisfying life are a pleasure to be around and they attract others of like mind to them. People who feel good about themselves do not need to treat others poorly. One sign that you feel like a success is the way you treat others. If you need to put others down and act rudely that says a lot about how you feel about yourself. You may be able to buy compliance with fear or money but to truly have others care about you takes more. It takes treating others the way you would want to be treated and then some. People who are successful think from a place of abundance. They have enough and they can afford to part with some. People who are stingy and selfish think that anything they part with diminishes them. You are truly successful when you think of what you can do for others to be of service. Every road has bumps, some larger than others. If a single setback throws you off course your success is not very secure. Highly successful people have failures and setbacks. Those obstacles do not define them. They are successful because they believe they are. For them, success is the opportunity to pursue their dreams, not the number of dollars they get paid for the things they did. A rich person with no control can make a failure of themselves in short order. If you have learned self-control, some portion of it anyway, you can count that you have made some progress on your journey to being a successful person. Success is about using your gifts and developing your talents to become a better you. No amount of having should get in the way of your journey to being the person you would like to be. A life of passion is a successful life. If you care about something you can commit to it and that gives your life meaning. How much money you will leave behind to others who only care about you for the dollars does not impart any meaning to a life. The great deeds of heroes and average people are fueled by deep passions for the things that mattered most to them. Patience is not only a virtue it is the reward of a successful life. When you have the peace of mind to be able to wait for things you are in a place of having what you need rather than chasing the wants of life. If you need more of anything to feel you are acceptable you have not reached your fulfillment. Believing in yourself is a clear reflection that you are living your life in a fruitful way. You do not need others approval to feel good about yourself. Your past is not controlling your present. Self-esteem is not about what you have it is about who you are. Indecision is the opposite of a successful life. People who feel good about where they are can easily make choices. If you need others approval so much you bend your choices to please them you have not become all you might be. Successful people know that everyone has the ability to make a contribution and they can easily accept help from others. If you feel the need to do everything yourself then you do not yet feel successful. If you are so short on time that it all needs to be spent on things and on pleasing others you are still poor in emotional terms. When you have the time to pursue things that matter to you then you have reached success regardless of the number of dollars in your bank account. You see the good not the bad in people and situations. The failure sees failure everywhere they look. For them, the world is a dark and gloomy place. Successful people can see the good in others and the possibilities in life. How many of these traits of a successful life have you cultivated? This entry was posted in Success and tagged being effective, being successful without money, building self-esteem, happy life, Life accomplishments, prosperity, skills to be successful, success, thriving by David Joel Miller. Bookmark the permalink. Found this and thought it was a great read. I want to share this in hopes that others can learn this valuable lesson. Thanks fir the reblog, best wishes.